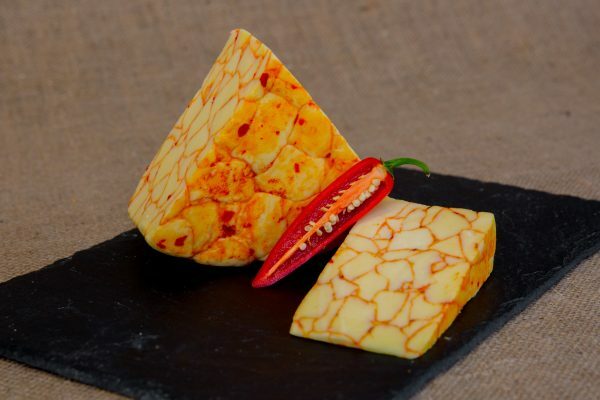 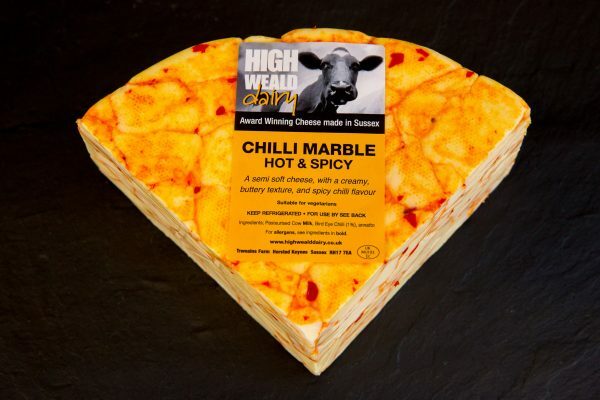 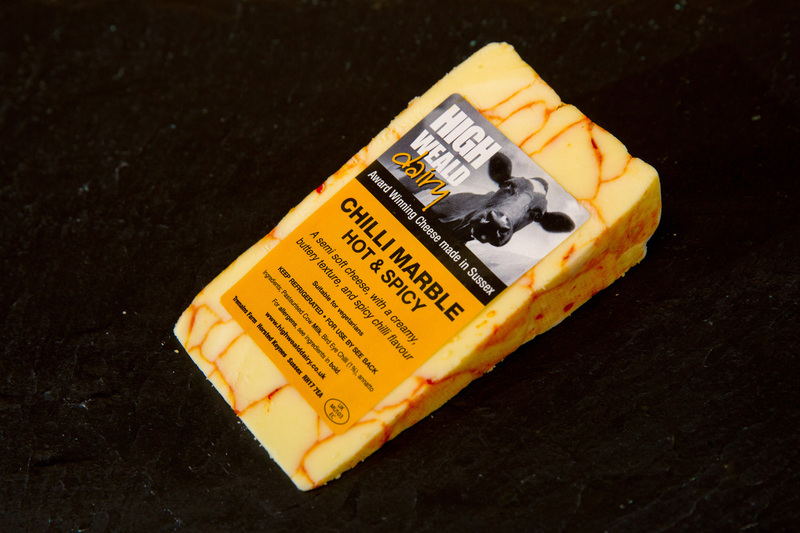 If you like it hot, Chilli Marble could be the cheese for you. Based on Saint Giles, it has the addition of red bird-eye chilli. 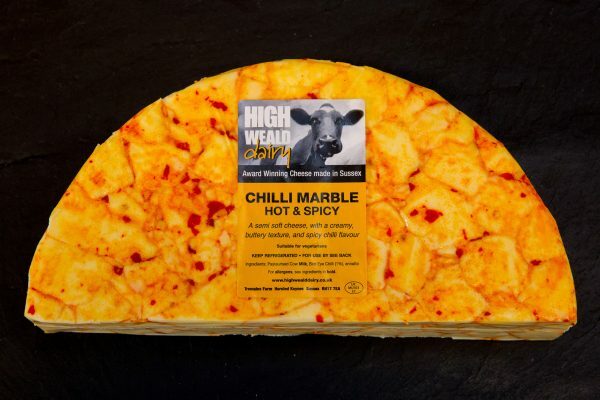 It has an attractive marbling running through it and is rather hot, but with a delicious buttery texture.